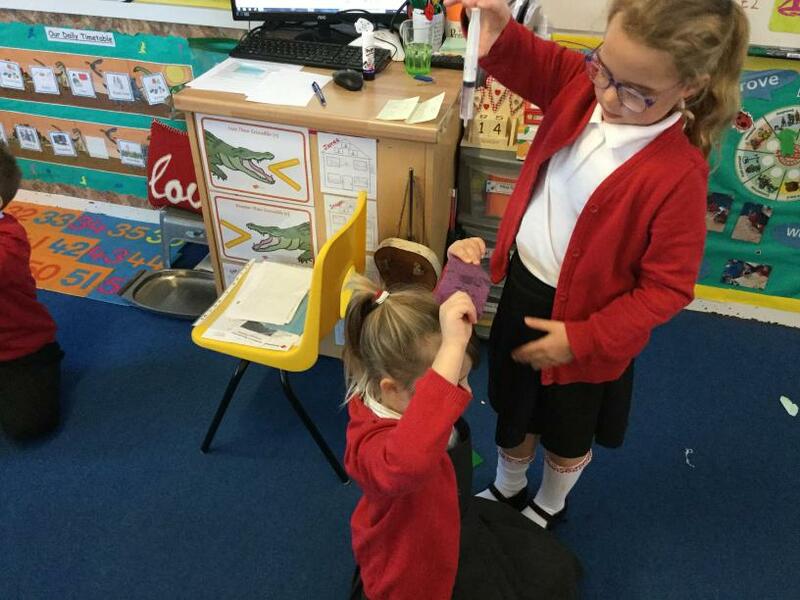 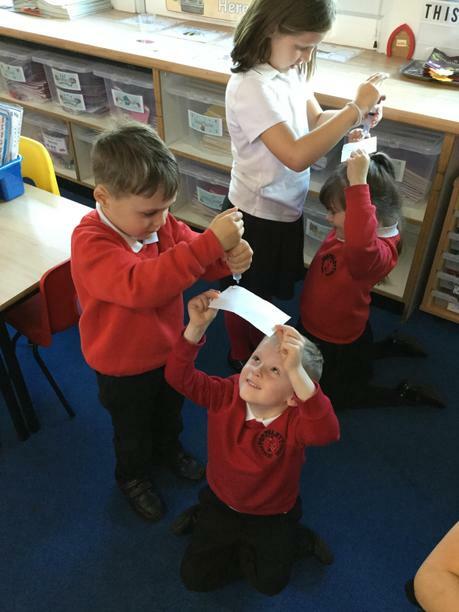 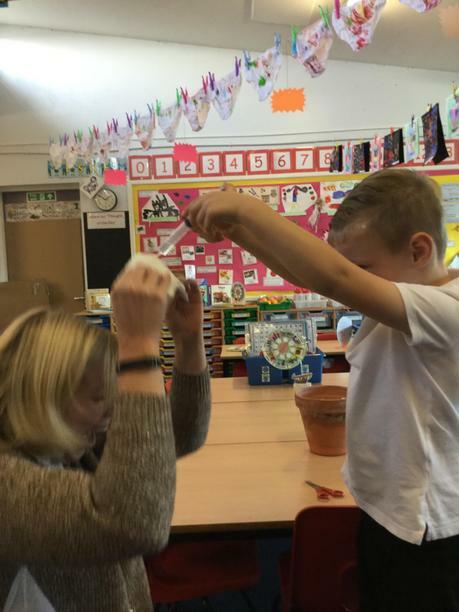 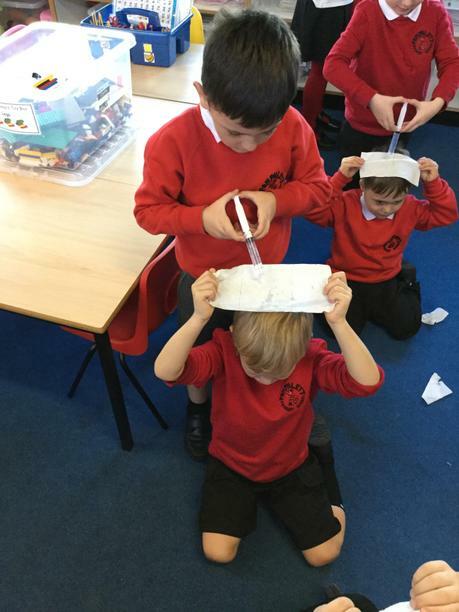 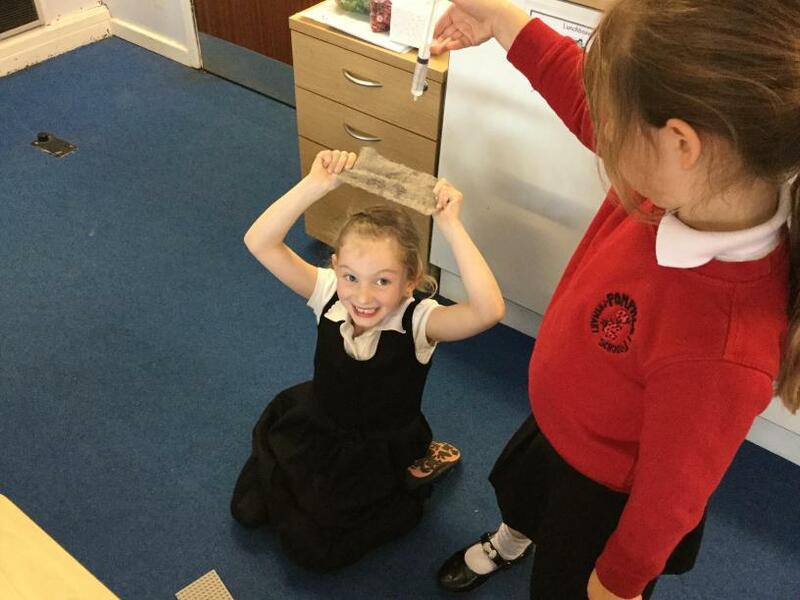 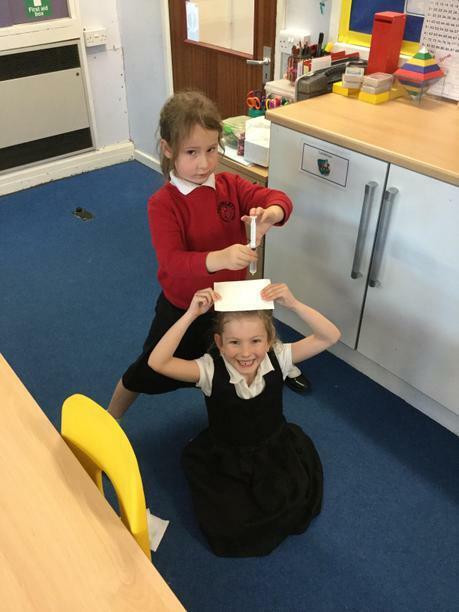 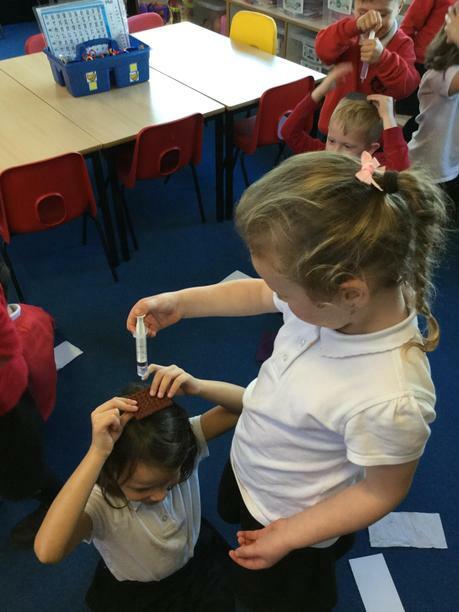 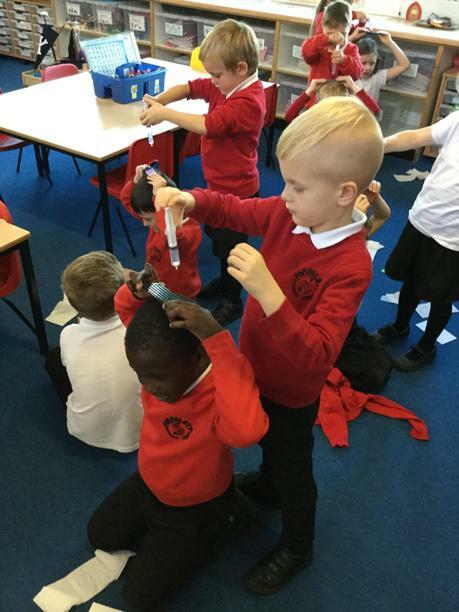 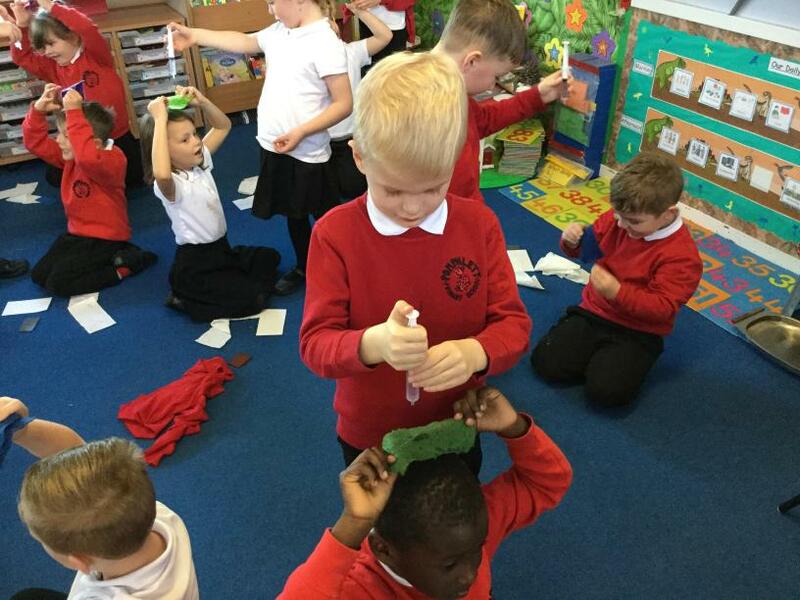 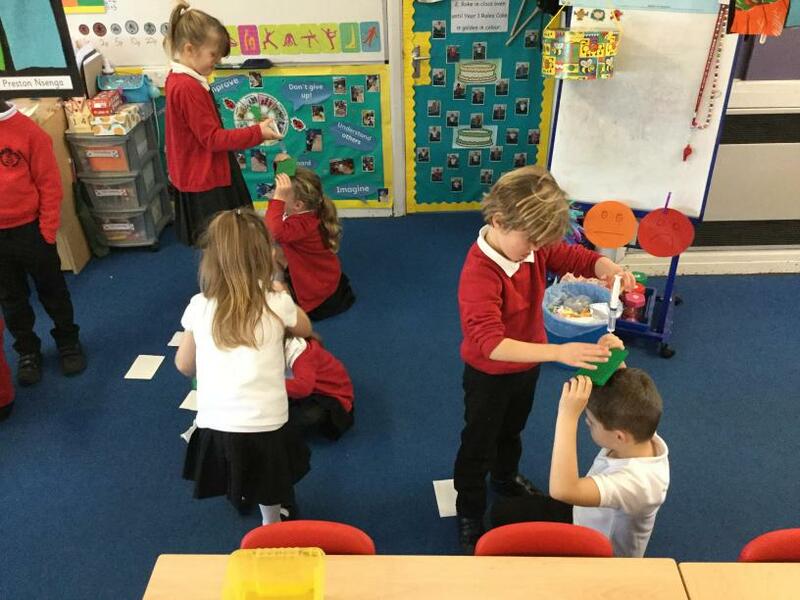 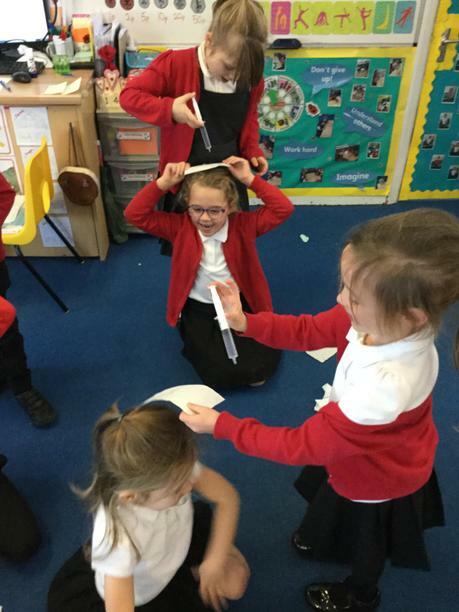 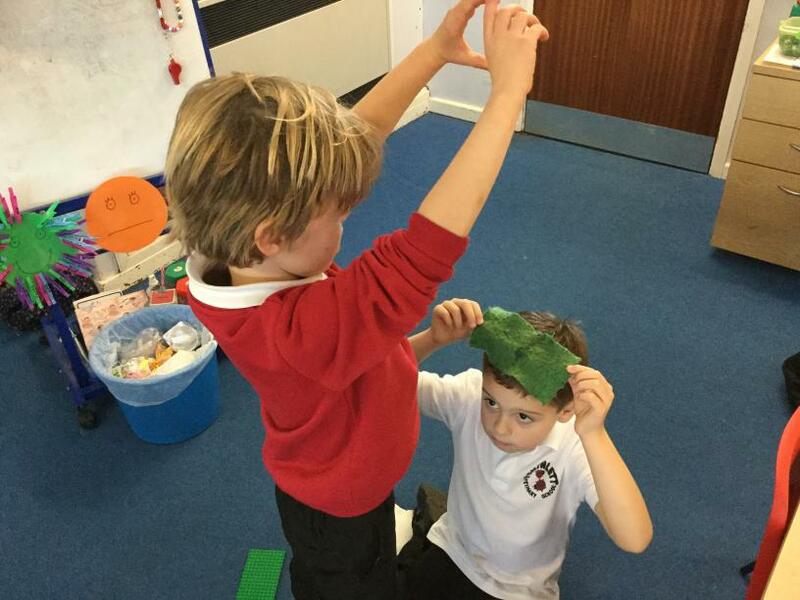 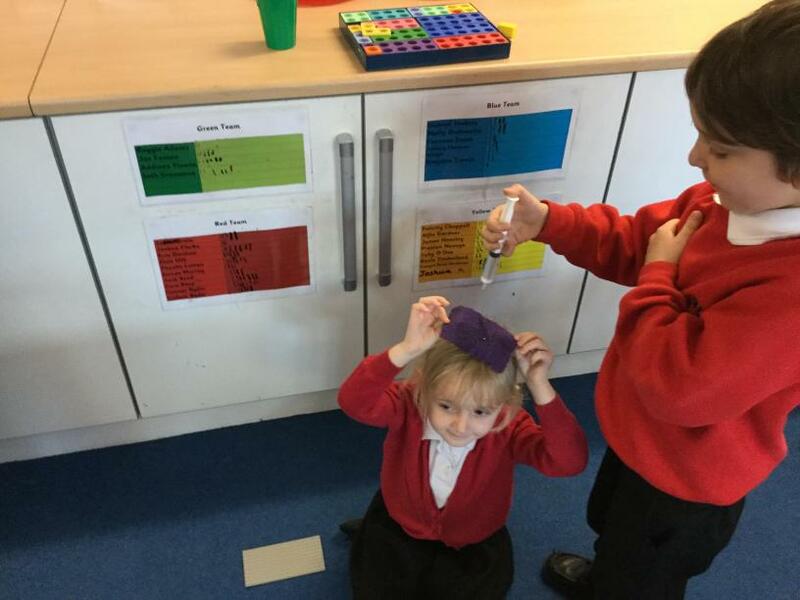 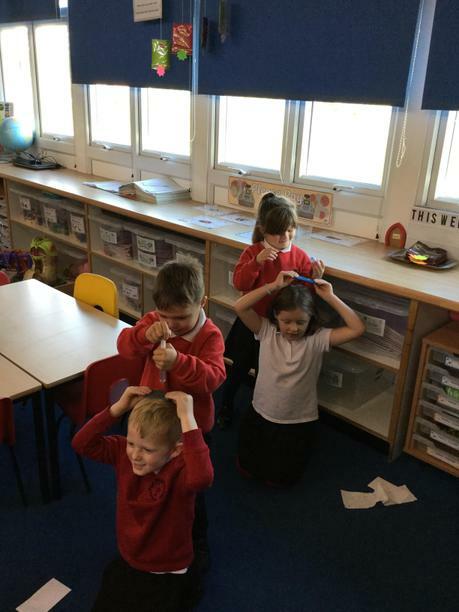 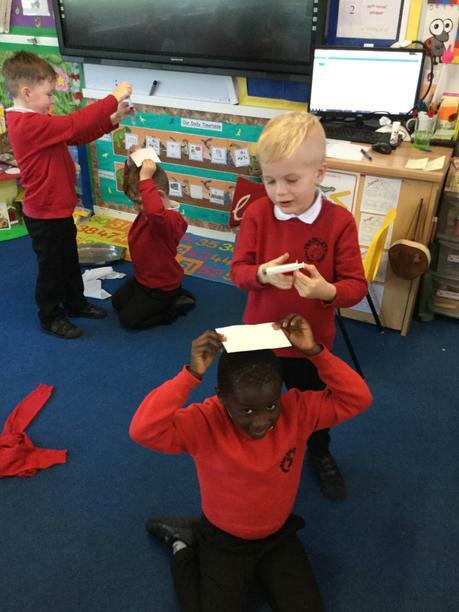 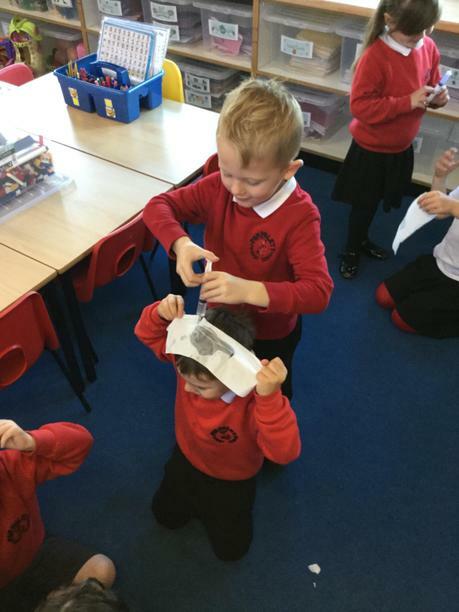 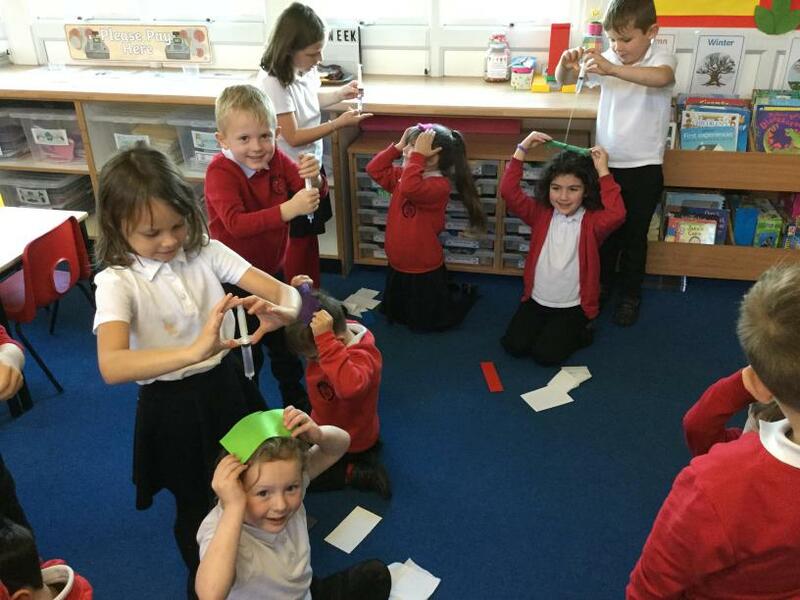 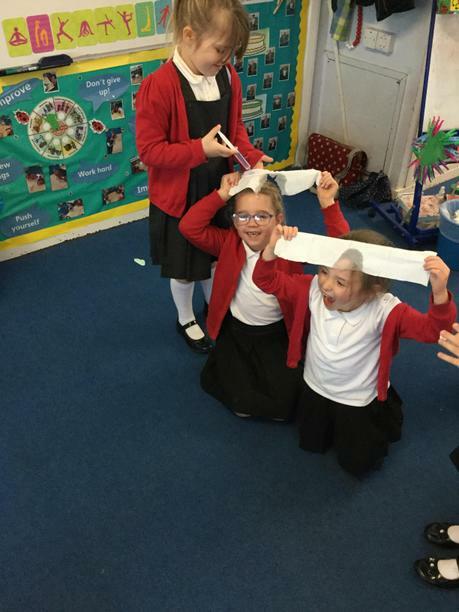 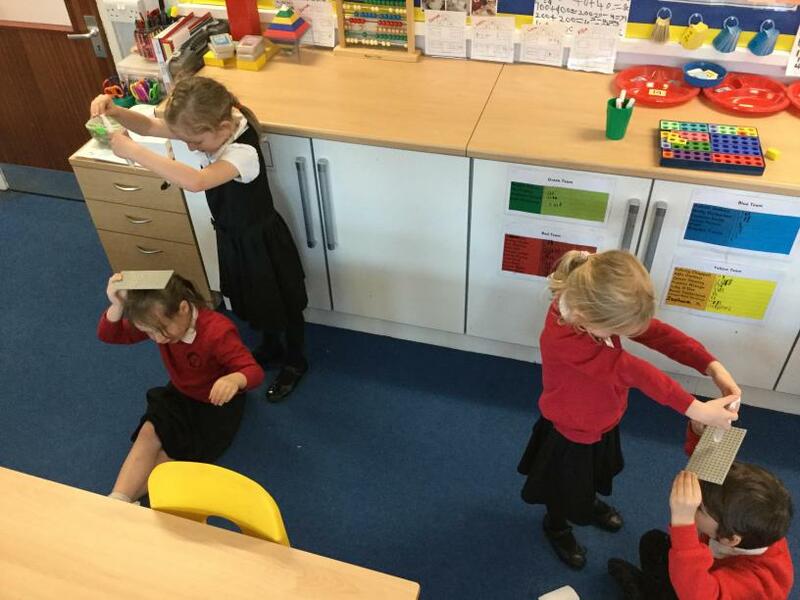 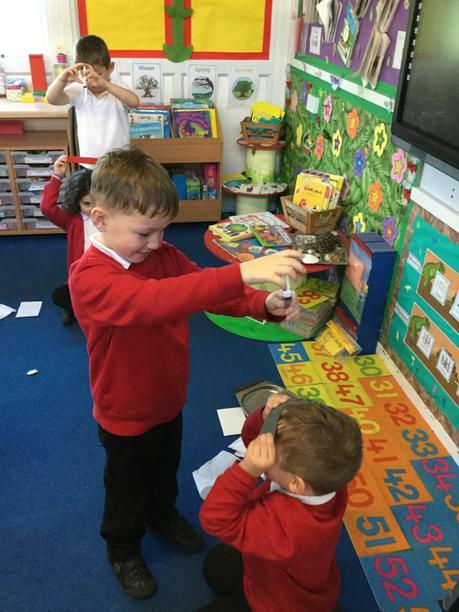 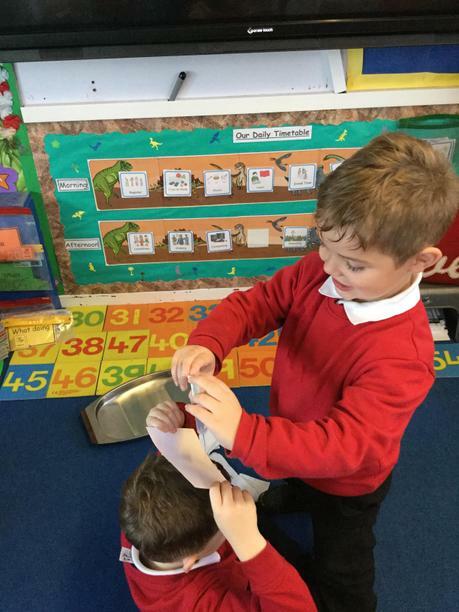 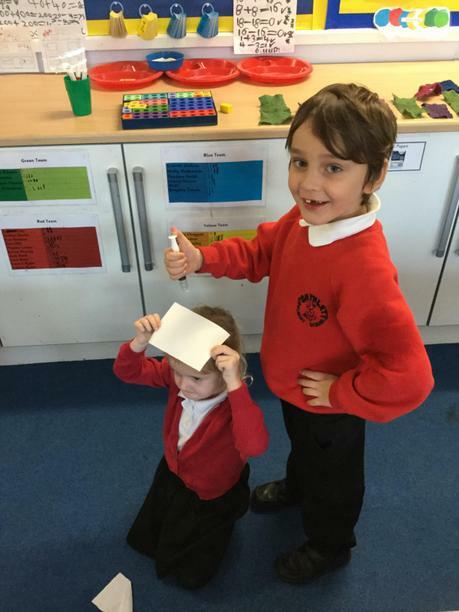 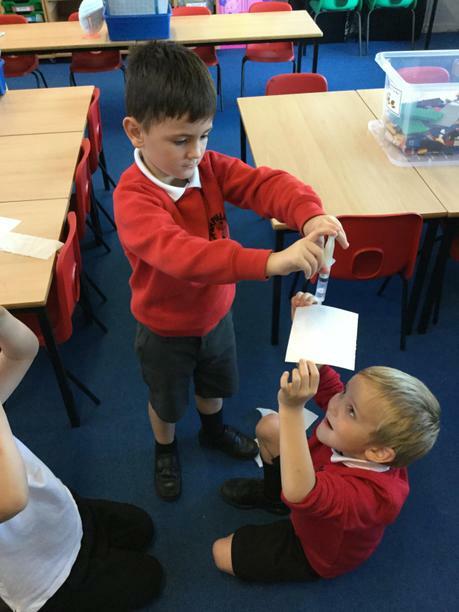 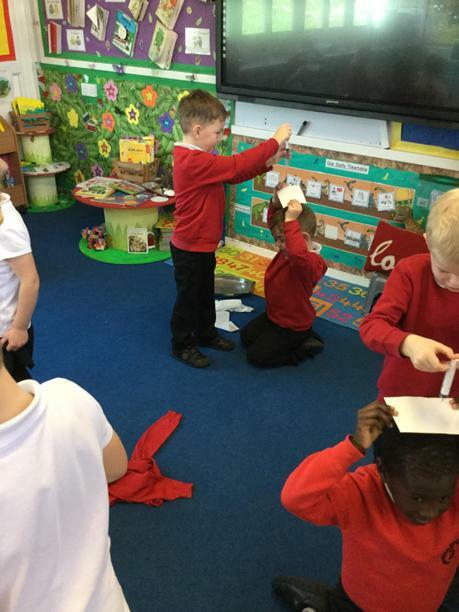 Today, in Science we carried out an investigation to find the best material to make an umbrella. 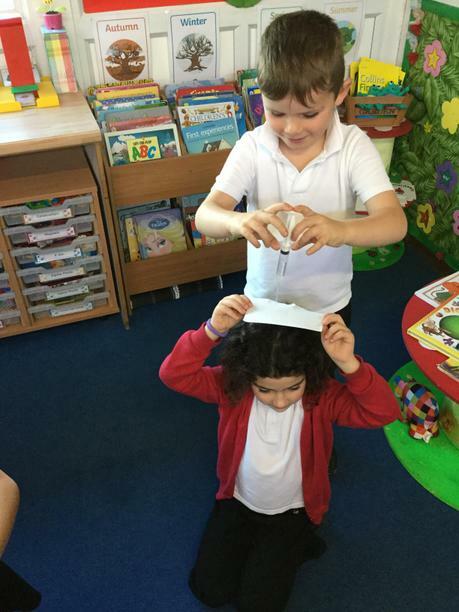 The children were rain makers and some of us got very wet!! 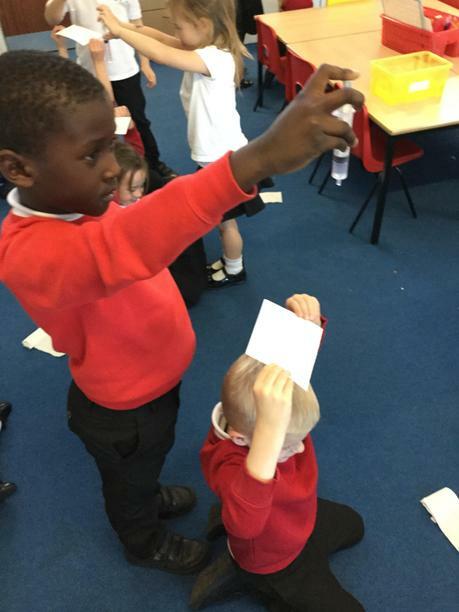 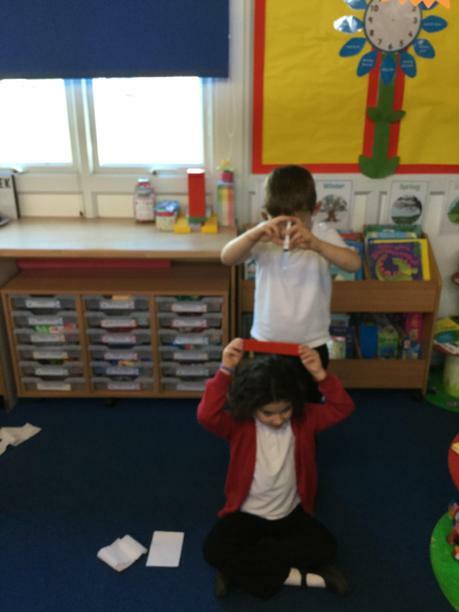 We made sensible predictions, had good observations and could conclude our results.